Here’s a video to go with my text tutorial—a few posts ago—for Douglas Grant’s Round Spanish Braid of 7 loops. 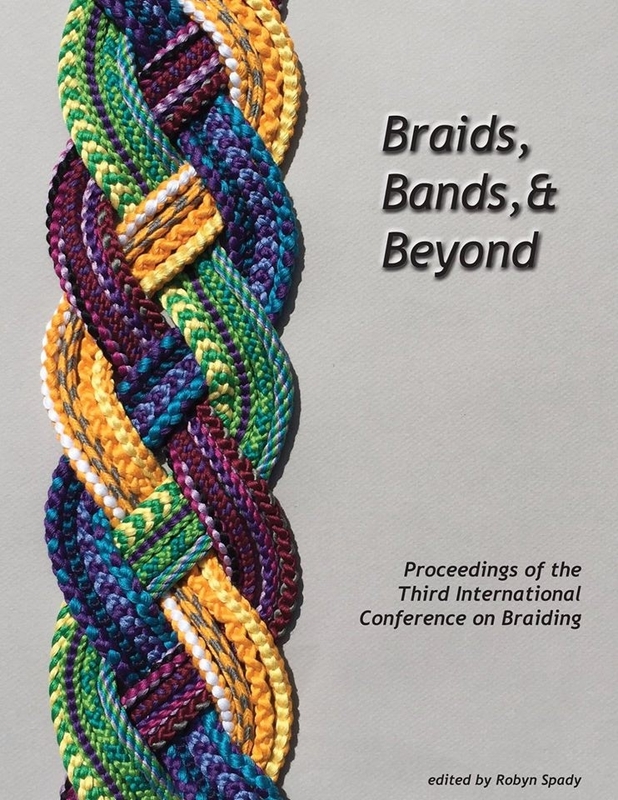 The video also demos a new color pattern for the braid. It’s shown above in mercerized cotton sport-weight yarn (a now discontinued brand). That’s about equivalent to using doubled strands of embroidery floss. For this color-pattern, the seven loops are all bicolor—five loops blue+white, two loops blue+black. Be sure to arrange them on the fingers as I describe just below, and in the video @ 2min,57sec. It’ll be much easier to learn this braid after first learning 5-loop, and then 7-loop square and flat braids. The 7-loop Spanish braid (a rectangular braid) has very similar braiding moves. They might seem very strange at first, because in one of the moves, your middle finger reaches through two loops of its own hand AND (for this braid) through one loop of the other hand. At first this feels very weird! But believe it or not, it ends up being a very fun and relaxing braid to make, with very rewarding results. 16:30 Last look at pattern, also at the divided section forming a loop at the top of the braid.